People have debated for years what impacts the sales of an online business the most; some think it’s “price point” while others think it’s “trust”. There are so many aspects of an online business that affect e-commerce sales success or demise, but one of the most important reasons comes down to people’s perceived trust. In this article we will do our best to assess the value of trust badges and discuss if they really increase sales. 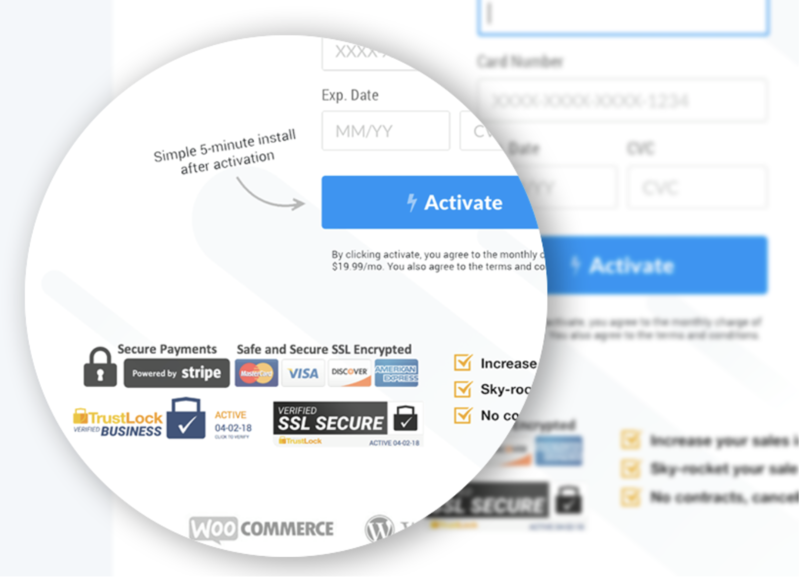 We’ll also go over the best 8 trust seals for ecommerce sites. Will Adding Trust Seals Really Increase My Online Sales? Marketers constantly use psychology to affect people’s online buying habits. Whether it’s a pricing change, a deal proposition, or social proof, it’s evident that psychology plays a huge role in marketing success and the science of selling. That’s why you see huge companies like eBay displaying trust seals in the footer of every page on their entire site. You even see sites like Fiverr using credit card logos and statements of trust to boost their perceived trust. One of the most recent studies by Actual Insights showed that “Trust logos increased the perceived trustworthiness of a brand in 75% of respondents.” It’s been proven that a third party backing up a proposition by a company can help increase sales. When you show a “Verified Business” badge by TrustLock, or Business Accredited badge by the BBB it states a proposition on the seal. This is known to affect shoppers positively when they reach the checkout page because they have justified psychologically that “this business is verified” or “this business is real.” There is such a barrage of “fake” everything online that knowing something is “real” is becoming more and more important. Trust is a contributor of success since people don’t buy from websites they don’t trust and many research studies have shown this to be true. In fact “as many as 61% of participants said they had decided not to purchase a product because it was missing a trust seal.” (source: MonetizePros). The fact is that people online are getting smarter. With e-commerce website stores multiplying by the hundreds of thousands it’s not a surprise that people need extra reasons to trust the places they shop. 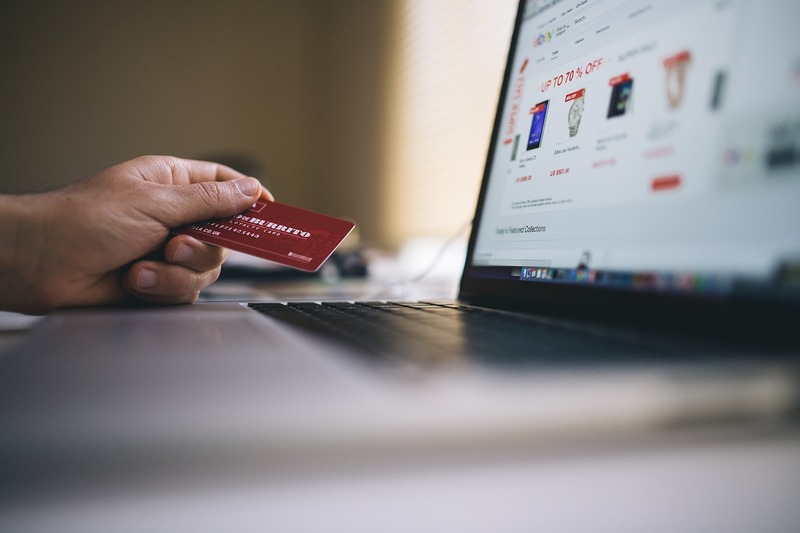 It might seem like a small thing, but adding several trust seals on your website or checkout page could increase your sales significantly. 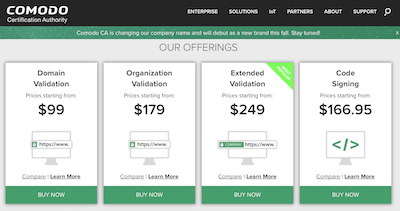 Adding points of trust with third party endorsements seals can help give your visitors a reason to continue through the checkout process instead of bouncing before completing the purchase. Trust seals will almost certainly increase sales, but by no means can they fix a terrible website. Before you jump to the conclusion that adding a trust seal can magically fix all the issues with abandoned carts and low sales, you need to realize that a stunted website design needs to be fixed first. A site that isn’t professional will put questions in visitors minds before they even worry about questioning your business legitimacy, security or privacy. You don’t want to give visitors and shoppers any reasons to distrust you and it starts with the first visual appearance. After you’ve won them over with a positive design, the trust seals can then help solidify their trust in your site. A third party badge of approval works great, but first, you must ensure your website has fixed the most basic fundamentals of clean and professional design. After your site is so professional that you know without a shadow of a doubt that nobody will question your brand as a professional industry leader, then you can add trust seals and the formula will begin to work. I’ve seen terribly designed websites still succeed with adding third party trust seals and badges, but sadly they never realize their true potential unless the design and usability is perfected. Take a moment to find your top 5 competitors and go through their website, from product to checkout (without paying at the end, of course). Pay close attention to each key element and how the purchase process is directed. Then go to your site and review your site and see where you could improve. It also helps to solicit your friends or coworkers advice on which site looks more professional. If you can get your site just as good as your competitors and also add trust seals and social proof with better pricing, you’ll be lethal for the win! 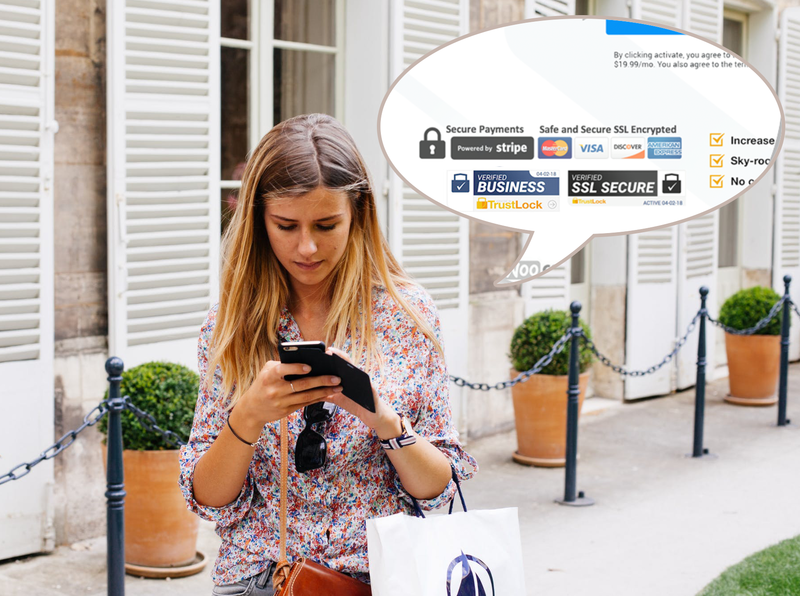 (Verified Business, Verified Privacy and Verified SSL Secure) TrustLock offers a unique approach with the most affordable pricing structure. 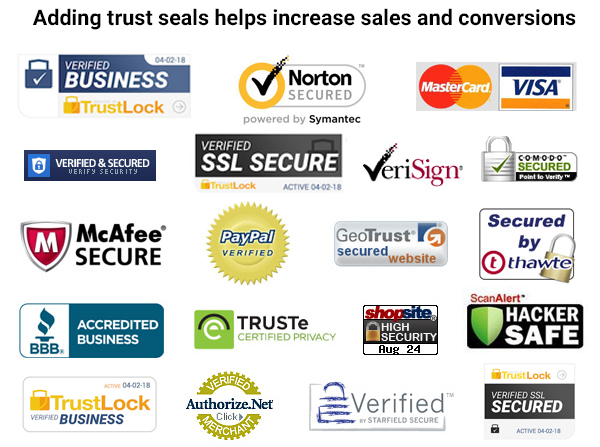 While other competitors charge $30-150 per month, TrustLock badges start at just $9/per month. We also like TrustLock, because they state their proposition on the badge itself instead of hoping people will know the company behind it. We like how it said “Verified Business” right on the badge. They also offer all 3 types of verification for under $20/mo. Business Verification, SSL Secure Verified and Privacy Safe verification. The SSL secure can work with your existing SSL provider so you don’t need to change anything and adding the badges is easy. Learn more about TrustLock trust seals. (Offers certified privacy badge / new name TrustArc) – Truste certification badge is similar to TrustLock Verified Safe Privacy in that it makes sure that your website is adhering to specific rules and best practices. Truste will make sure that your site meets all the criteria for verification whole utilizing OECD privacy guidelines along with notes taken from the APEC privacy framework. When you display the Truste trust seal, you’ll show your visitors that you meet commonly accepted privacy principles to ensure visitors privacy. Truste is much more expensive than TrustLock and Symantec the last time we checked. You must apply first and they will decided a pricing structure that works best for you. They also might change their name to TrustArc which might create some brand confusion but the name should still help customers know that you’re taking their privacy seriously when they see the badge. (SSL badge verified secure by Godaddy) Godaddy is well known for its crazy Super Bowl ads and barrage of advertising about how they can help you set up a website that not only looks amazing, but they also offer SSL certificates for your website which come bundled with a special SSL badge that you can include on your website. 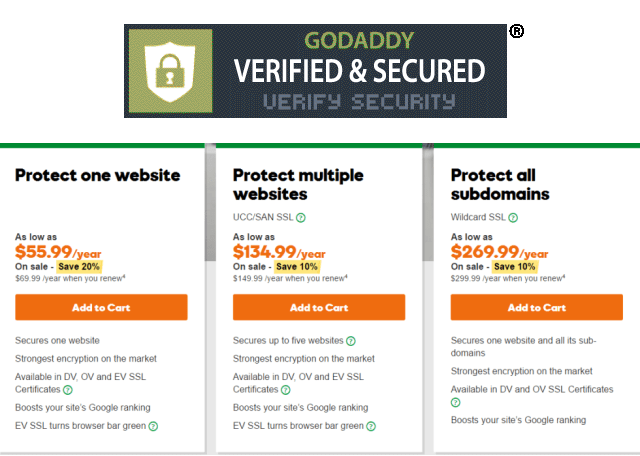 The Godaddy trust seal is a SSL verification type of seal. The seal is somewhat expensive for what you get, however if you need the EV SSL, this can help however most sites won’t need this. You can learn more at Godaddy.com. Expensive compared to other trust seal options. (Business Accreditation / Verification) The BBB is well known for helping business stay legitimate with their customers. The BBB has been around for a very long time and is well known. 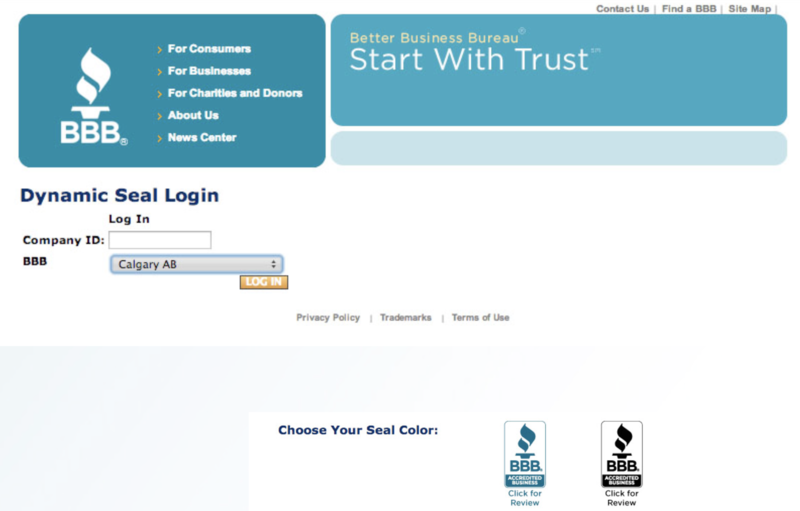 One difference between BBB and other TrustLock Verified Business is that the BBB allows users to leave complaints. We personally don’t like dealing with the hassle of complaints and user feedback, but if this is something you want to deal with, and you have a higher budget, the BBB is an excellent option. The BBB is special in that it specifically allows customers to leave complaints and resolve issues. This does help customers more than a verification only, however it can be tedious for the business that must deal with these complaints on a daily basis. Comodo has various verification options and sells SSL certificates as a security company as well. Some rumors are floating around that Comodo may dissolve as a name and become a new company, but as of writing, Comodo still sells various SSL (https) options. They are one of many who offer a SSL certificate with a badge which can help you get further recognition and help give users a sense of security. GeoTrust is another SSL provider which offers a business TrueId service as well top help verify your business. 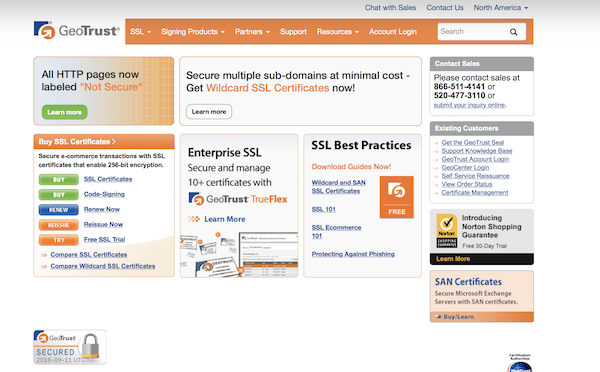 However there is no specific visual badge to verify your business, so we’ve come to the conclusion that GeoTrust is mostly a certificate SSL company only with a simple GeoTrust badge and linked verification page for SSL verification. One of the least notable options is a home made seal. These can be effective and can be combined with other badges or seals with great results as some people will associate the other brands with your other home badges like “free shipping” and “satisfaction guarantee badges. These badges may not be as effective as other badges that have the verification page when a users clicks it, but they are still a viable option and shouldn’t be disregarded if you don’t have a budget for other options. Use testimonials as another option to boost sales next to homemade seals. Trust seals can increase your sales, but choosing the perfect combination of several badges in conjunction with social proof like testimonials, can create a strong case of trust when your visitors see your products and land on your checkout. There are many other ways to increase sales, but Trust Seals are just one more sure-fire way to boost your sales and opt-in conversions. We also recommend using split testing with different badge variations to find the highest conversion rate possible. Please leave your comments below which trust seals you think are best?